There are no single day rates being offered. All attendee cancellation requests must be in writing and sent to info@vasculitis2019.org on or before February 28, 2019. A $50.00 USD processing fee will be accessed for all cancellations. 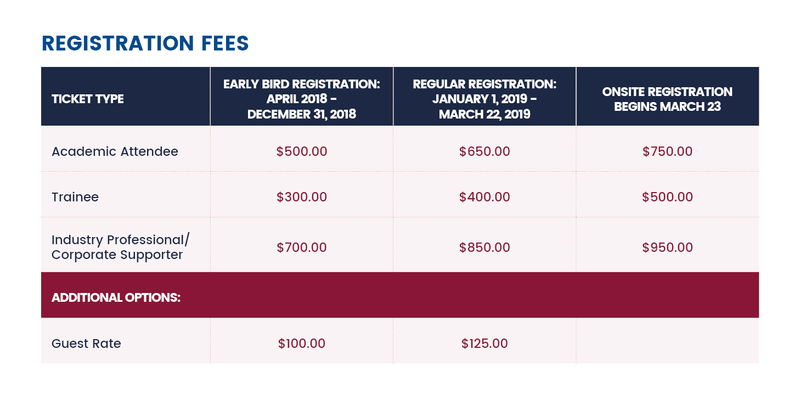 Registration fees are non-refundable after February 28, 2019. Note: Guests of Workshop attendees will receive tickets to the Welcome Reception on Sunday and Gala Evening on Tuesday only. Guests do not have access to Workshop academic sessions or meals.